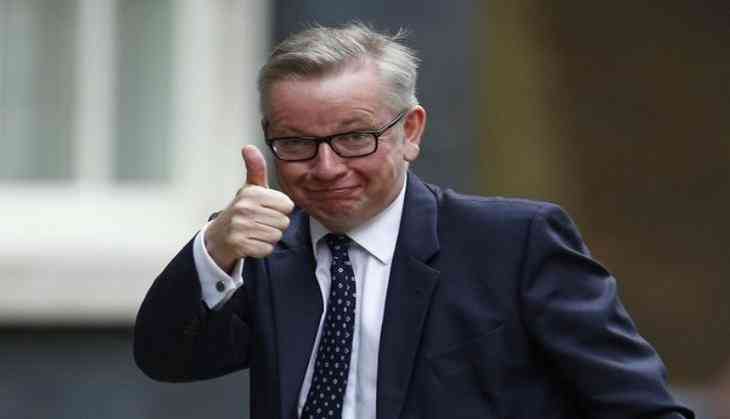 Michael Gove, who was sacked by Prime Minister Theresa May last year, has made a surprising comeback to the cabinet as the Environment Secretary. Gove's new role means the Brexit campaigner now faces the difficult task of restructuring British agricultural subsidies for when the UK exits the European Union, reports the Guardian. Gove's return is a clear signal by May to put personal animosity aside, which comes following a bitter row over the alleged infiltration of Birmingham schools by hardline Islamists. Gove's allies at the Department for Education blamed the Home Office for the scandal, with May's aides retaliating by publishing confidential cabinet correspondence attacking Gove. Reacting to his appointment Gove told Sky News: "I was quite surprised, I have to say ... I genuinely didn't expect this role. I am delighted to be part of the government, I am delighted to be able to support Theresa to ensure that we have a government capable of delivering on the people's wishes." The departure of May's Joint Chiefs of Staff, Nick Timothy and Fiona Hill eased Gove's return. May also appointed long-time friend Damian Green as first secretary of state in a move to consolidate her control of government after a bruising weekend. The Prime Minister had confirmed on Friday night that her most senior cabinet ministers would remain in their posts, including the home secretary, Amber Rudd, the chancellor, Philip Hammond, the Brexit secretary, David Davis, the defence secretary, Michael Fallon, and Boris Johnson, the foreign secretary.